Have you ever found a useful tool that's been around awhile and once you realize how much time or money it could have saved you over the years, makes you go "grrrr!!!" No, just me? OK... well... that's how I feel about Ebates. 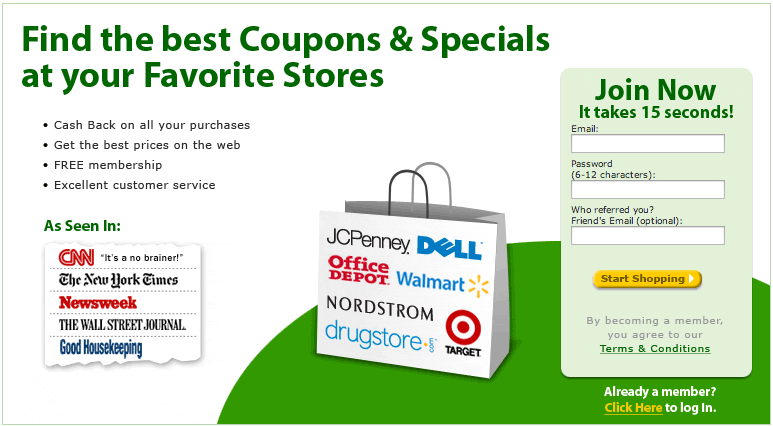 Ebates is a cash back service that pays you back for shopping online. Kelsey has had an Ebates account since 1999 if you can believe that (further, can you believe she's had the same hotmail account since 1999?). She was an early adopter of the interwebs, but still, the sad part is that we only recently started using Ebates about a year ago. She kind of forgot about it, and I didn't really know about it. Although Ebates offers great incentives for shopping online, the service can be a bit confusing at first, but I'll share a few tips to make sure you don't miss out on cash back for online purchases in the future. Ebates has gotten a lot easier to use since they've added the cash back button so you don't have to visit ebates.com anymore to get in on the savings (this used to be quite annoying and cumbersome and the reason we haven't used eBates more since 1999). No matter how helpful the tool, if you don't remember to use it, it's worthless. The first thing you'll want to do is sign up for Ebates on their website. You can do that by clicking here (tell a friend referral link). You'll just need your email address and a password. Once you are logged in, you'll want to install the Ebates cash back button... details in the section below. Again, we were constantly forgetting to use Ebates when shopping online before they came out with the Ebates cash back button. The cash back button is a simple browser extention that reminds you to use Ebates when you arrive on a site for which you are eligible for earning cash back. Ebates will even tell you the going rate for the particular site you land on. Here's an example of Target.com which currently earns you 2.5% cash back. Don't forget to use your Target Red debit card as well to save 5% instantly and get free shipping! Just click the "Activate cash back" button and you're good to go. Just make sure that you have clicked the activate button and purchase through that particular browser tab or you won't get the Ebates credit. 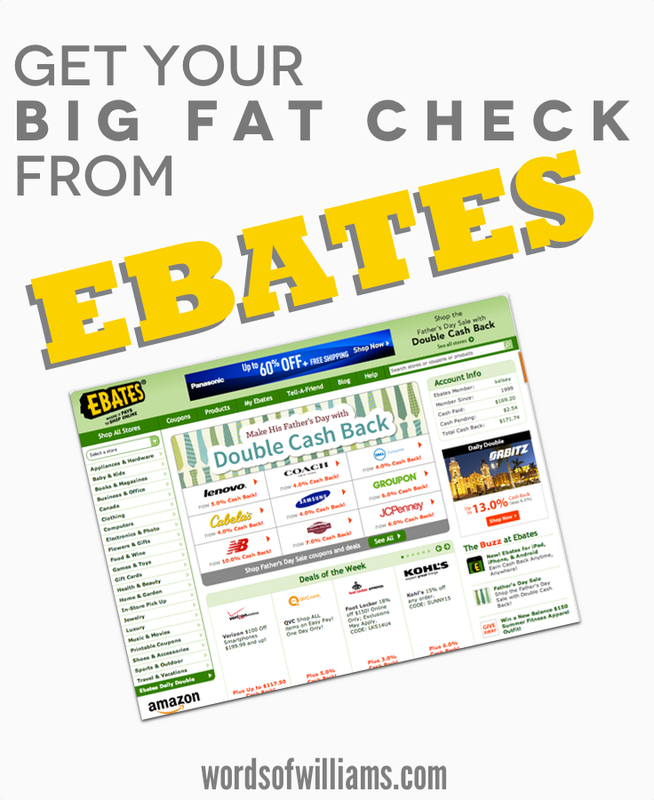 How do you get your cash back from ebates? Ebates pays out in May, August, November, and February on the 15th of those months, and pays you for the previous period shopping trips. It makes for a nice little quarterly bonus. You can choose to be paid either via a check in the mail (that's what we do) or they will deposit the money into your PayPal account. You can keep up with the status of your cash back by clicking on "My Account" in the upper right corner, then in the left column click on "Cash Back Activity". You'll also notice that we earned $5 by telling a friend about Ebates. You can earn some bonus bucks that way too after signing up. Details are under the "Tell a Friend" in the navigation bar. Ebates really is easy to use and hassle-free once you sign up and get the cash back button installed. It's a no-brainer way to get a little kick back from your online purchases. There are no rebates, or reward point systems with black out dates, and you don't have to sign up for a credit card. If you have specific questions, there is a lot of useful information in the Ebates help section. Again, it's a bit tricky to understand when you are getting started, but I think once you receive your first "Big Fat Check" (as they call it), you'll be likely to remember to use Ebates in the future. How do you maximize your online shopping? What tips/tools do you use?